Not much has been going on around here the past couple weeks. Mostly I've been using any free time to work in the yard. I've trimmed most of the perennials for the winter and planted the peas. From now until February I will generally be spending my weekends scrambling to keep up with the weeds. 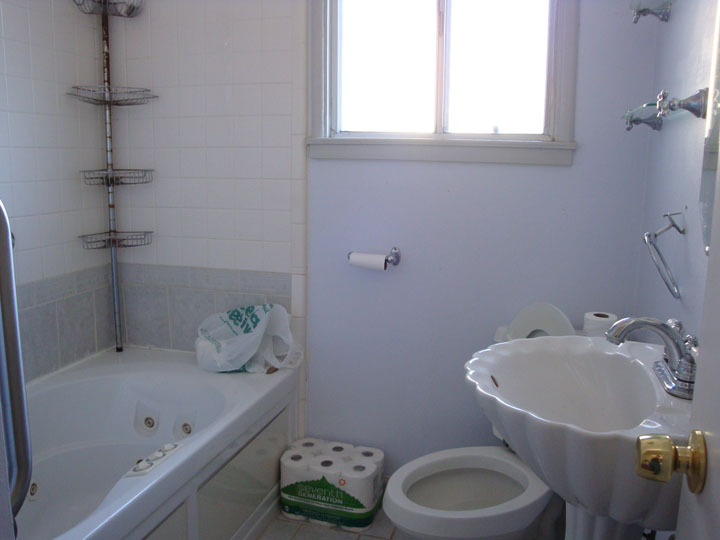 The house remodeling has been proceeding well, thanks to all my dad's hard work. 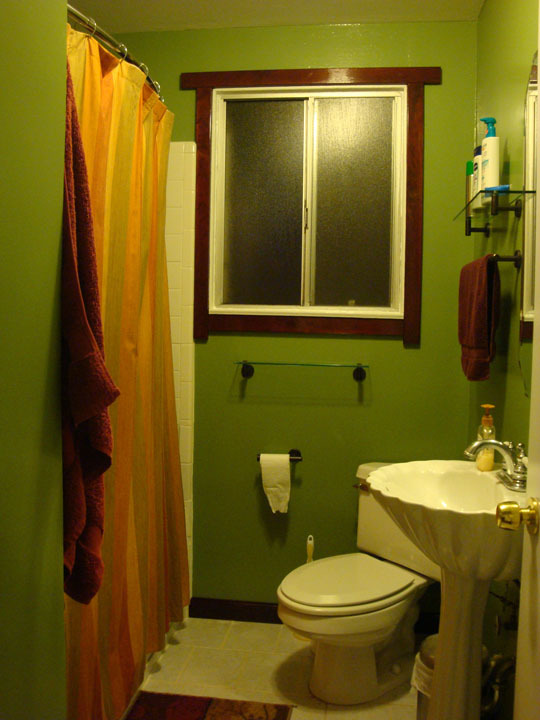 The latest accomplishment was the bathroom, which was pale and boring when I moved in. Now it is much more colorful. Anyway, I harvested my first yacon tuber yesterday and shared it with my parents. 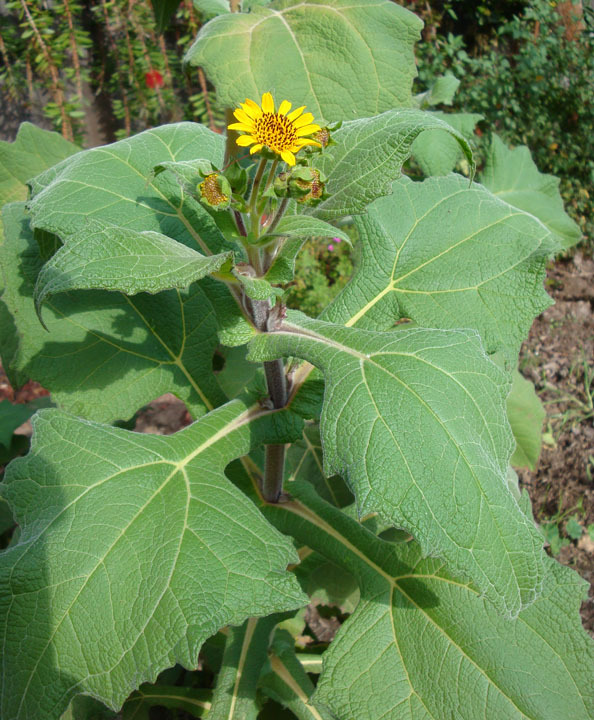 It comes from a perennial flower, yacon (also called Bolivian Sunroot), which is related to dahlias. The flavor is a lot like a sweet, non-pungent radish. The crown of the plant can be divided every year, so eventually I will have quite a few. Two of my blueberry bushes are flowering profusely. They seem well enough established that I'm going to try letting them produce berries. It will be interesting to see how soon I will be able to harvest them. I've already purchased most of the seeds for the new plants I want to try next year. I'm going to give daikon radish a try, as well as a couple other Asian vegetables. I also plan to attempt a small, early-maturing watermelon that supposedly produces well even in our mild summers. Now I just have to decide on a new tomato variety. On Sunday, megory and I spent a couple hours at the San Mateo Harvest Festival, a gathering of craft vendors. There were lots of lovely items, though I managed to restrict my spending. My favorite purchase was a knitted headband wide enough to cover my ears for when I'm wearing my hair in a bun (which makes using a hat uncomfortable or even impossible). Why did LJ have to change the scrapbook interface? I lost a bunch of pictures in the move (including pictures posted to old entries), and since there are no more sub-folders, my stuff is all unorganized. Ugh. Nothing immediately stood out as missing from mine, but I haven't done a complete check. That sounds really upsetting. I can't wait until the new friends page is out of beta testing and that's forced on us. I'm crossing my fingers that they will leave it optional, but I don't have a lot of hope. I have seen official word from LJ that we won't be able to opt-out of the new friends page once it's out of beta testing, but I'm hoping for some slim chance that they'll change their minds because UGH. Nice - that green goes well in there. the tomatoes turned out well at least. I planted a few last week, but it might be too late in the season for them to mature before the weather gets too cold. I'll try more in February.